Tropicana Grande is located in the midst of the Tropicana Golf & Country Resort area with close proximity to established amenities and facilities including the soon-to-be-developed Tropicana City as well as SS2. 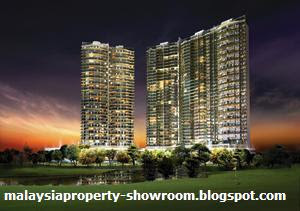 It is also close to One Utama, IKEA and Tesco. In addition, Taman Tun Dato Ismail is only a few minutes' drive away. There will be a total of 298 units of high-end golf course-fronted condominiums housed in four towers. Space is given the utmost priority to the home owner, with each condominium unit having a built up area of between 4,000 sq ft to 10,000 sq ft. With large built-up, full glass windows to capture the scenic view of the golf course, sky gardens, private pools (for selected units) and a private lift lobby on each floor, Tropicana Grande is set to be the next ultra luxurious resort-styled condominium in Petaling Jaya. This condominium will feature, among others, a smart home and security system (alarm, intercom and panic button for all units), CCTV system (at service lift lobbies, service lifts, main lobbies, car park, etc), broadband, card access and barrier gate systems as well as private lifts. All bedrooms will come with attached bathrooms while the master bathroom will have an en-suite resort-styled jacuzzi. Built-up Area : 4,000 - 10,000 sq.ft.